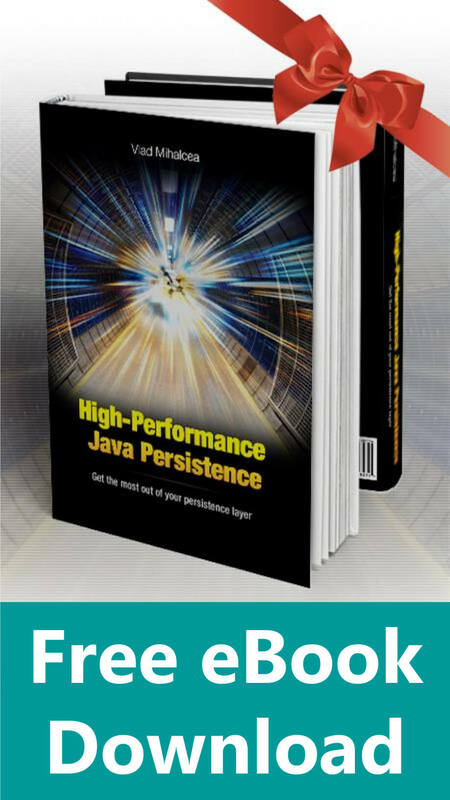 In this article, I want to show you how you can map a String JPA property to a JSON database column using the hibernate-types open-source project. 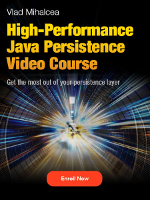 Although it’s probably more common to use a JsonNode or POJO (Plain Old Java Object) on the Java side, the hibernate-types framework is very flexible and allows you to use a String JPA property type to represent a JSON structure. 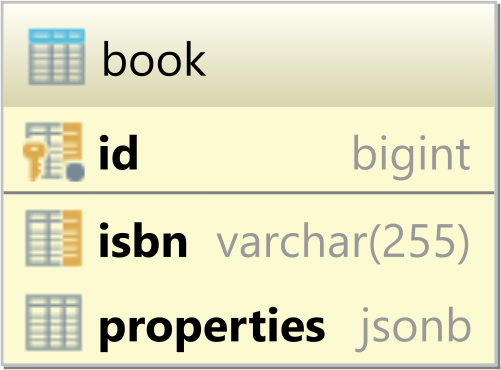 Considering we have a book database table that defines a properties column of the jsonb PostgreSQL type. 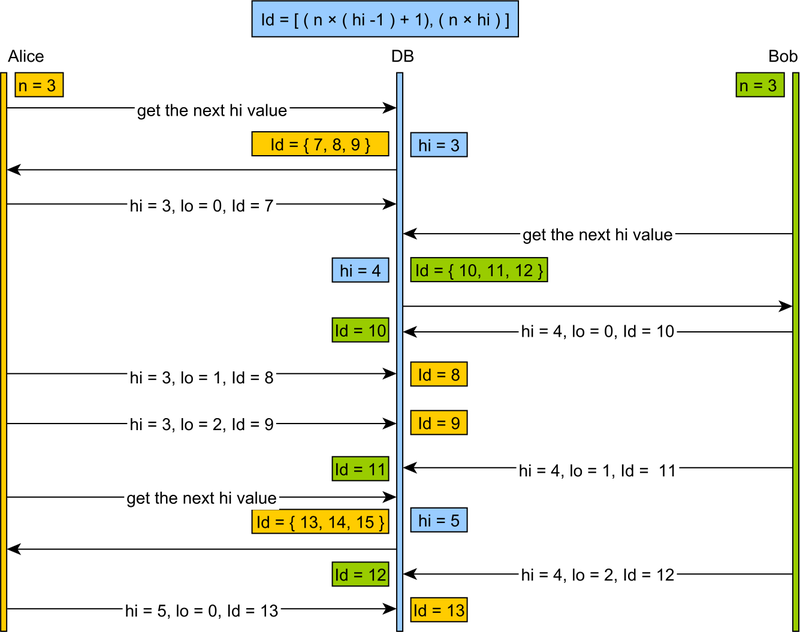 The isbn property is mapped using the Hibernate-specific @NaturalId annotation which allows you to retrieve the entity by its natural identifier. 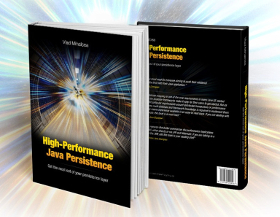 The properties JPA attribute encodes various book-related properties in a JSON String object. From the JPA @Column definition, we can see that the associated database column is of the type jsonb. 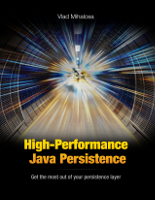 Now, since Hibernate does not provide a native Type to handle JSON database columns, we need to need to use the JsonBinaryType offered by the hibernate-types library. The JsonBinaryType binds the JSON String using the setObject method of the PreparedStatement object. Notice the Fluent-style API used when creating the Book entity. For more details about building entities using a Fluent-style API, check out this article. We can see that the properties attribute is properly populated by the JsonBinaryType. 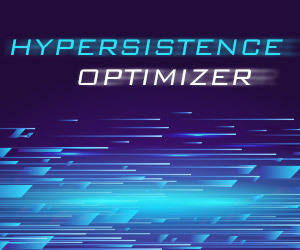 Although creating a custom Hibernate Type is straightforward, it’s much more convenient to use the hibernate-types open-source project since you only need to add one dependency and specify which custom Type you want to use via the @TypeDef annotation. I think it should also address the difficulty for searching (like queries based on the json columns), and how this will be RDBMS specific. The only option is to use a native SQL query, and you can achieve database portability like this. We achieved this by registering custom functions @json_extract@ and @json_extract_text@ and implemented custom dialects for PostgreSQL, MySQL and Oracle. 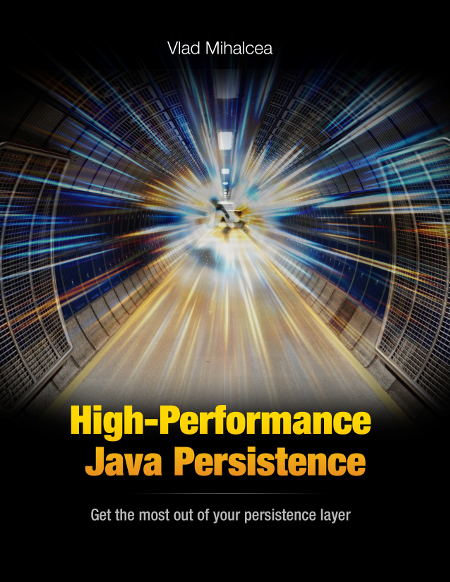 I think hibernate should add support for json fields (hibernate specific feature). 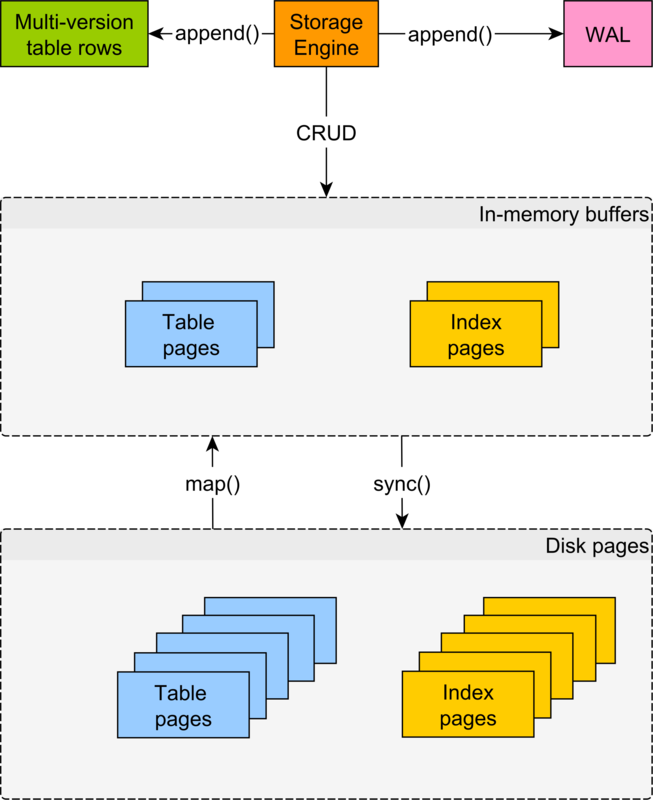 Registering the database-specific functions can be done. But there are JSON operators that won’t work. Eventually, yes, this should be supported by Hibernate. 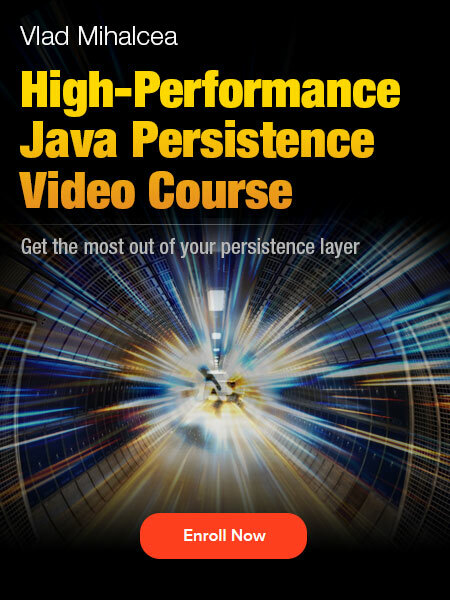 Meanwhile, you can use the hibernate-types library. Yes, json operators are database specific so can’t be supported. That’s why we choose to create custom functions json_extract and json_extract_text which are actually not native functions (in some db they are) but maps to the equivalent native functions.